The history of a chemical substance by the name of DNCB is the starting point for our project. DNCB was used in film and photo labs as an integral chemical for color editing. Through the 1990’s it could even be easily ordered through Kodak. In 1986 during the AIDS crisis, doctors and patients in San Francisco discovered through self-experimentation that DNCB on the skin had a positive effect on the immune system and presented a treatment method for Karposi’s Sarcoma. Medical research was done on the substance and it was used in the founding of the first independent guerilla AIDS clinic. We – Kerstin Schroedinger (Berlin) and Oliver Husain (Toronto) – were fascinated by the overlap of film and medicine in this specific situation. From our current day perspective it is very touching that in a moment in which the technological advances of chemically-developed anologue film has become almost obsolete, one of the integral parts of another non-film related practical use is achieved. Now the independent actions of AIDS activists and artists in the late 80’s and early 90’s have a new relevance in the modern day political climate. From our research we have developed an experimental artistic work that shows the connections between self-medicating and independet film developing labs through an intregration of material experiments, historical research and performance. In our presentation at the Schwules Museum we will be installing different sound, text, video, film, and performance elements into a multilayered arrangement. We want to pose questions about contemporary discourses surrounding health and the connections of biological and social bodies by means of reconstructing historical crisis and treatment methods. Oliver Husain is a film maker and artist living in Toronto with a specific interest in theatrical and film concepts of viewership and stage production. Husian’s video installation “Isla Santa Maria 3D” was shown in Forum Expanded of the Berlinale and in the Arts Association of Nürnberg. In 2018 his works and exhibtions were presented in Remai Modern Museum of Contemporary Art, Saskatoon; The Susan Hobbs Galery, Toronto; Republic Gallery, Vancouver, and Clages Gallery, Köln. Kerstin Schroedinger works in the fields of film/video, sound and performance. Her historiographic praxis questions the means of image production, historical continuities, and ideological modes of representation. Her early works include Bläue (Video, 2017) and Der angebliche Körper (Performance), which were featured in the Toronto Images Festival and at Les Complices* Zürich 2017. Her works have been shown in the Whitney Museum of American Art, The Anthology Film Archives New York, Forum Expanded of the Berlinale, and the Toronto International Film Festival, among others. Her exhibitions have been shown in the MIT List Visual Arts Center Boston (2016), PhotoCairo #6 (2017), and Kunstpavillion Innsbruck (2017). 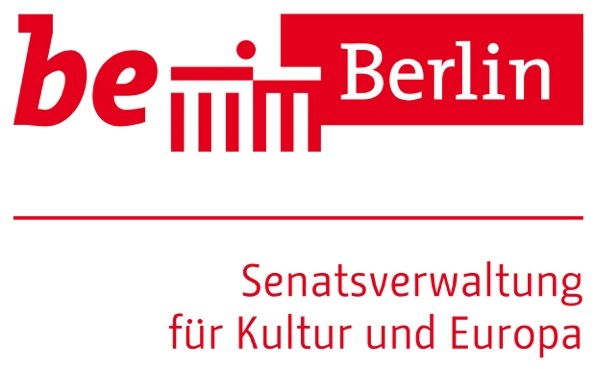 In cooperation with the Berliner Senate for Culture and Europe, Toronto Arts Council, Pro Helvetia the Swiss Cultural Foundation.